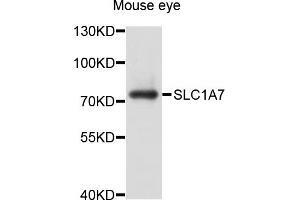 Western blot analysis of extract of mouse eye cells, using SLC1A7 antibody. Western blot analysis of extracts of mouse eye, using SLC1A7 antibody (ABIN4905181) at 1:1000 dilution. Secondary antibody: HRP Goat Anti-Rabbit IgG (H+L) at 1:10000 dilution. Lysates/proteins: 25ug per lane. Blocking buffer: 3% nonfat dry milk in TBST. Detection: ECL Basic Kit. Exposure time: 30s. Characteristics Rabbit Polyclonal to SLC1A7. 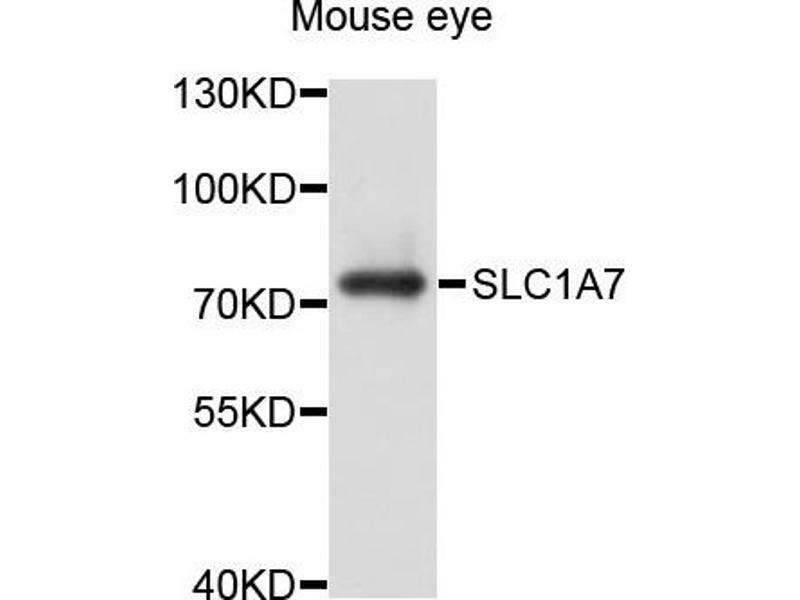 Immunogen Recombinant protein of human SLC1A7.